Editor's Note: Below is a chart (and excerpt) from today's Early Look written by Hedgeye U.S. Macro analyst Christian Drake. We highlighted this in an institutional note alongside the latest weekly data yesterday but it’s worth reduxing here. 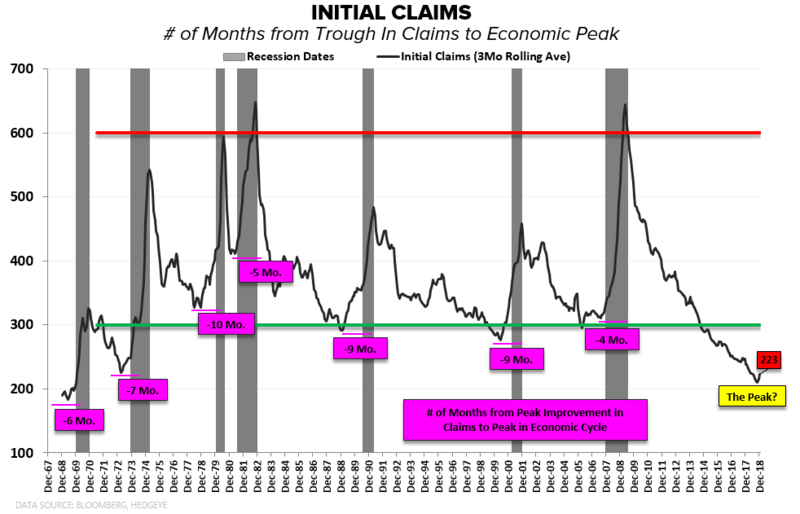 Peak improvement in initial claims has been one of most consistent lead indicators of the cycle with peak improvement in rolling 3Mo. claims preceding the peak in the economic cycle by an average of 7 months over the past 7 cycles. So long as initial claims continue to make lower lows, the separations side of net employment remains supportive of further labor market tightening and the expansionary party can persist without acute risk of large-scale dislocations (consumer credit or otherwise), particularly in a consumer-centric domestic macroeconomy. What’s notable is that peak improvement in rolling Initial claims now appears to be rearview with the inflection coming off the cycle low registered in October. The peri-holiday period can be noisy and subject to distortions but with claims progressively increasing over the last couple months and the global and domestic economy now traversing the backside of the growth curve, a retrace back to multi-decade lows is increasingly less probable. 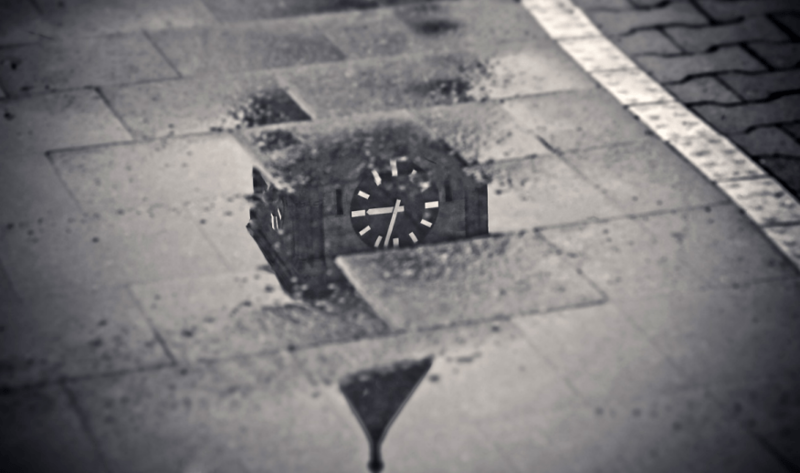 Is it a harbinger of imminent recession? No, but like the implications of yield curve inversion, it does mean the cautionary drone of the late-cycle expansion clock starts to tick a little louder.